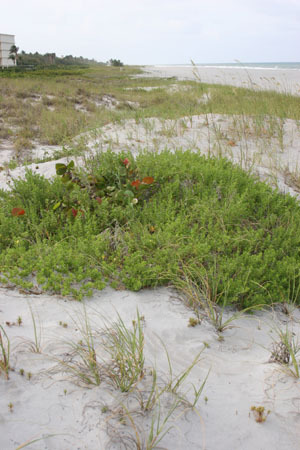 Ecological Restoration Notes: An important sand binder in coastal uplands througout South Florida. 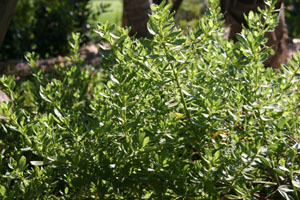 Description: Small shrub with spreading branches. Leaves light green, succulent and smooth. Dimensions: Typically 2-3 feet in height. Spreading and becoming much broader than tall. Range: Southeastern United States west to Texas and south to the Monroe County Keys; Bahamas and Cuba. Rare and scatted in the Monroe County Keys. Fruit: Inconspicuous yellowish-brown achenes in globular clusters. 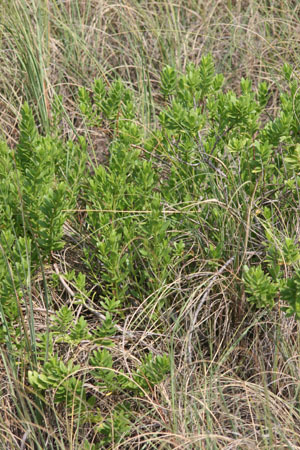 Wildlife and Ecology: A principal sand binder in the pioneer zone of beach dunes. Comments: It roots along the stems when covered with sand.